Comodo Dragon is a fast and versatile Internet Browser based on Chromium technology and infused with Comodo's unparalleled level of security. This guide is intended to take the user through the installation, configuration and use of Comodo Dragon. This section of the guide explains how to launch, configure and use Comodo Dragon to its full potential. How to use and customize tabs when browsing the internet. Bookmarks are an easy way to store the links of your favorite web-pages. How to configure your privacy and security settings in Comodo Dragon. Download a file from the Internet, change the download location, and clear download history. Create application shortcuts, manage your extensions and customize the spell checker. 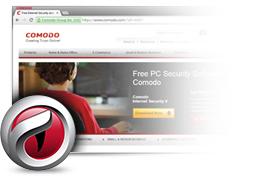 How to resolve common problems that may arise when using Comodo Dragon. Found a bug? Report it so we can resolve it. Take Comodo Dragon with you.